Plymouth Science Park provides flexible office space for rent in a world-class total business environment for start-ups and growing businesses, including wet and dry laboratories, all of which are supported with comprehensive on-site business support. The Park also includes facilities such as superfast broadband, meeting rooms, conference facilities and communal areas to maximise collaboration and encourage high-quality business development. A number of University of Plymouth spin out companies and student/graduate start ups emerging from our Formation Zone have innovated and grown at the Park which is home to technology, digital, creative, marine and science-based businesses, often aligned to our academic disciplines and world-class research. 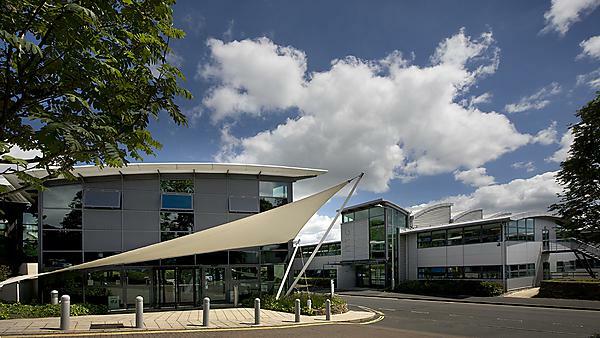 Generating a combined turnover of £100 million, the Park is home to a business community consisting of everything from one man start-ups to multi-national corporations. Together with Plymouth City Council, University of Plymouth is a founding partner of Plymouth Science Park and our Research and Innovation team continue to be based at the Park, including Enterprise Solutions, SERIO and GAIN. We connect with the Park and the resident businesses to enable access to our talented students and graduates, thus enhancing their student experience and employability opportunities. One Research Way, the most technologically advanced building in the West Country and the flagship building of the Plymouth Science Park, was opened in February 2017 - an important milestone in the positive trajectory of the park, and for the city and region. It focuses on attracting and supporting high-growth, highly-skilled, technology-focused businesses, creating additional opportunities for our students and graduates, and for the University to bring about economic impact through applying our research. Watch the opening of the One Research Way. As a start-up, we're always growing and it's great to know that we can go from a small office for two, right through to a self contained building that'll fit 60! Jonathan runs a successful business at Plymouth Science Park, set up with the help and support of University of Plymouth. Studying at University of Plymouth has given me a deeper insight into business practices and allowed me to share experiences and learn in different ways of putting theory into practice! Since graduating in 2016, Sarah has gone on to become the Business Manager for NESC Ltd, which is based at Plymouth Science Park.